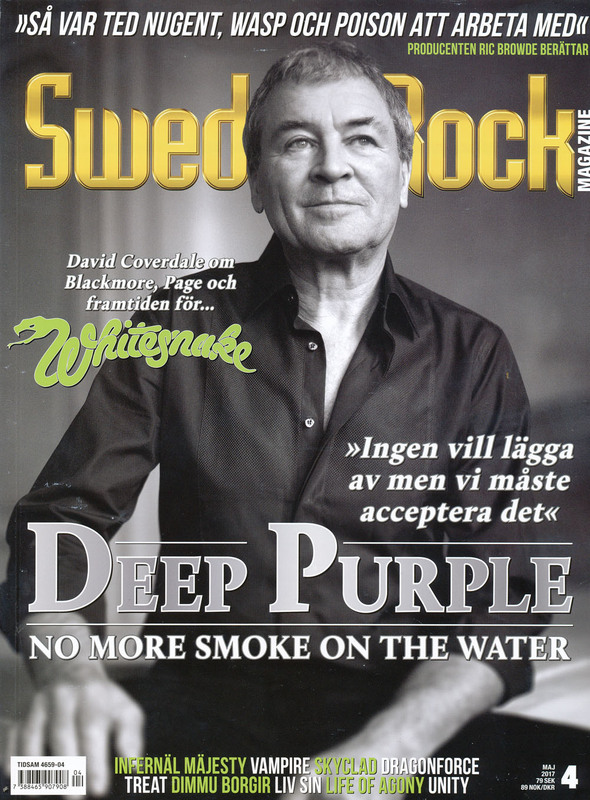 Ian Gillan is on the cover of issue 4 (May 2017) of the Sweden Rock Magazine. Inside the magazine there is an 8 pages long feature on Deep Purple and their new album with interview and pictures, 5 pages of illustrated interview with David Coverdale, and a page worth of interview with Bob Ezrin. Posted by Nick Soveiko on Thursday, April 20th, 2017, filed under News. You can follow comment on this post through the RSS 2.0 feed. You can skip to the end and leave a comment. Pinging is currently not allowed.